A lost phone, or worse, a stolen phone is a terrible thing—but is a real risk and can definitely happen. Often, a lost device is truly just misplaced, and when you do find it, you’re all set. Sometimes, “lost” also means “I don’t realize yet that my phone was stolen,” so you need to make sure your data stays safe, even if the worst happens. Use these tips to be prepared, protect your data and then, if you do lose your mobile phone, to act quickly. Step 1: Call your phone or use your Mobile App to send an alert. Start simple. Use another device to call your mobile phone. Trickier if you had your phone on silent, but sometimes it’s on a hard surface and you can hear it vibrate, so this is always worth a try. You can also use your carrier’s mobile app to override your ringer settings and sound an alert. Step 2: Use the Mobile App or your phone’s native find-my-phone feature. This is why we made sure you were all set up in, “3 Ways to Protect Yourself Before Your Phone is Lost or Stolen”. Your carrier’s Mobile App can quickly tell you if you left your phone at home or the office, for instance. Step 3: Text your cell phone. If you have text messages set to display on the home screen, this easy trick can help a good Samaritan get your phone back to you quickly. Text your mobile phone to provide instructions on how to reach you, just in case someone finds it. Step 4: Back up your cellphone, then wipe it immediately. With automatic cloud backup through your carrier’s mobile app, you can feel safe knowing your data is secure and available. If you’re fairly certain your smartphone was stolen, you can then use the remote wipe functionality for your device (Android and iOS) to remove data immediately. Don’t forget, with phone protection, time is of the essence. Sophisticated thieves may remove SIM cards or use special boxes that shield mobile phones from cellular networks, making it impossible for you to wipe the device if you delay. Step 5: Lock your cell phone & change passwords. If your cell phone can’t be located quickly, the mobile app from your carriers protection plan can remotely lock your phone from any location. Also, be sure to take this opportunity to change the passwords on any accounts you had enabled on your device—especially financial accounts, email, and social media. Just in case. Step 6: Contact your mobile carrier. The carrier for your consumer cellular plan can disable service to your phone and help you figure out what your next steps are, as well. Step 7: Alert the police. You may or may not get your phone back, but you might need a police report if you have to protest fraudulent charges made with your device, and the police are definitely tracking device thefts. If you have cell phone insurance be sure it covers lost or stolen devices. Asurion is actually one of very few companies, including the mobile manufacturers themselves, that offer loss and theft cell phone coverage. Read reviews from actual customers we helped recover from lost, stolen and damaged smartphones … within one business day, 96% of the time. Hopefully, you’ll never need this list, but at least you’re prepared just in case! Learn more about protecting your smartphone. 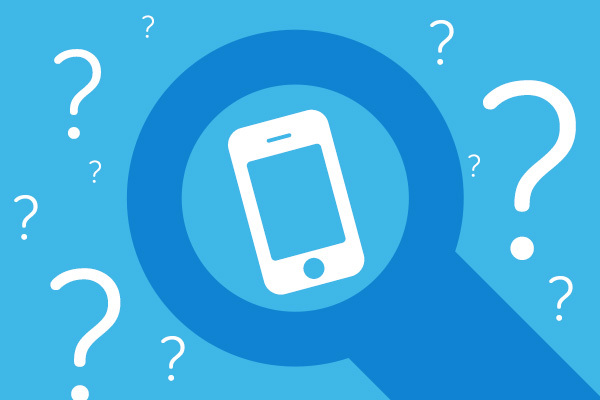 There are a lot of questions to consider when pondering a new device purchase. Before you decide, make sure you know the facts.